Markforged, a Watertown-based maker of 3-D printers, has raised an additional $82 million in venture funding in a round led by Summit Partners. 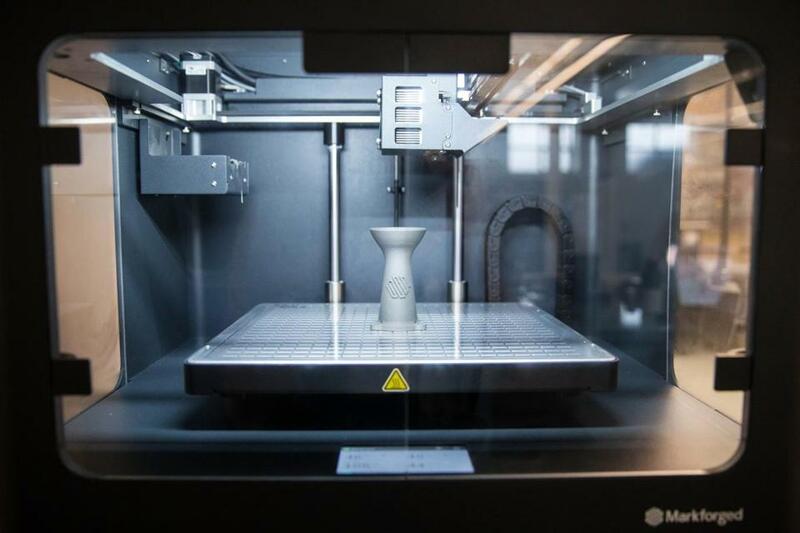 Markforged, a Watertown-based maker of 3-D printers, has raised an additional $82 million in venture funding in a round led by Summit Partners and including the venture arms of software maker Microsoft, carmaker Porsche, and German industrial conglomerate Siemens. The new investment gives Markforged a total of $136.8 million in funding since the company was founded in 2013. Markforged makes 3-D printers that use either carbon fiber or metal powders as raw materials. The company’s Metal X system can create complex parts out of metals like steel, aluminum, and titanium, without the need to build costly molds. Markforged competes against Desktop Metal, a Burlington company that specializes in 3-D metal printing and has attracted $436.8 million in venture funding from Koch Industries and the Ford Motor Co., among others.